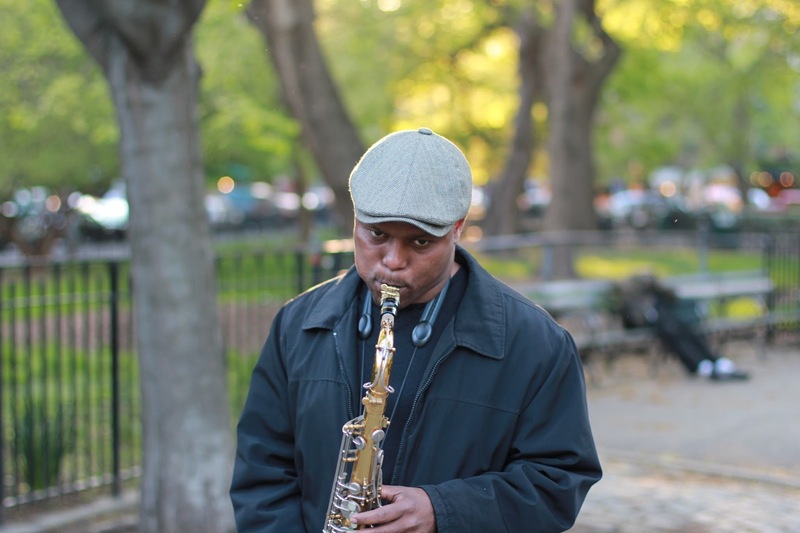 Multi-instrumentalist Scott Robinson is perhaps one of the best kept secrets on the jazz scene in NYC today. Despite his prolific work- he has been recorded on over two hundred recordings since 1981- he is relatively unknown to the general public for the superstar musician that he most certainly is. He is an avid collector of some of music’s most unusual instruments and has mastered many of them. Appreciated by his peers as a musician’s musician for his phenomenal reed work, he has enlivened the palette of such varied groups as The Maria Schneider Orchestra and the Village Vanguard Orchestra, as well as The Ron Horton/Tim Horner Tentet or his own Scott Robinson Doctette. Mr. Robinson is also the founder of his own record label ScienSonicLaboratories where he wants to explore the depths of the rare and unusual instruments that he owns and plays. He is, to coin a word, a Musicientist, who is fascinated by the frequency and modulations of sound. His more adventurous work is like a step into another world where mystery and adventure are more important than melody or rhythm. We once had a discussion on what made music accessible to the general listening audience. It was Mr. Robinson’s position that all music, no matter how atonal, un-rhythmic or for that matter unmelodic, was accessible to all those who spent the time and effort to access it on its own merits. Mr. Robinson’s forays can reach into a universe of sounds that for some can be disconcerting and for others fall outside any classical definition of music, but no one can deny they are interesting. Julian Thayer was a roommate of Mr. Robinson when they both attended Berklee College of Music back in 1977. Mr. Thayer is an accomplished bassist and has collaborated with Mr. Robinson on a previous album titled Nucleus from 2010. Mr. Thayer continued his education after Berklee earning a PhD in Psychophysiology. He is the Eminent Scholar Professor of Health Psychology at Ohio State University. There is no doubt that these two gentlemen have more than just music on their minds. They seem intent on exploring the boundaries of sound as they relate to human emotions and sensory perception. 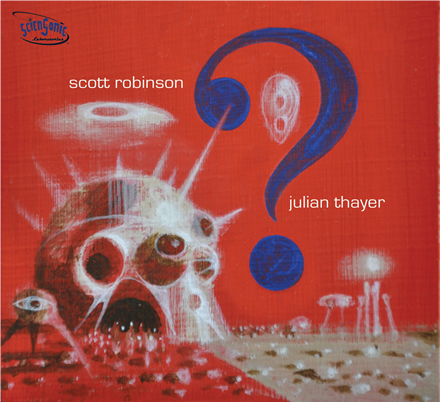 On “?” which seems to have the unspoken tagline of “huh?” featured as track number seven on the cd, Mr. Robinson and Mr. Thayer seem to be playing freely with no specific written music just a symbiotic love of the unknown, the absurd and the bizarre. The titles are equally telling; "expanse," "veil,""unearthly vision,"" misterioso"- the only semi identifiable nod to a well known song by Monk-"molecular inquiry," "search the skies,"" rare imaginings," "I wonder," "sub-molecular inquiry," "enigmatic entity," "outer-sonic oracle" to name a few of the twenty-nine distinct pieces . You can hear the ominous voices bellow from Mr. Thayer’s bowed bass or cry from Mr. Robinson’s mournful C Melody Saxophone. The alien sounds of Mr. Robinson’s Theremin also prevail on the opening track “expanse.” Or simply a bent bass line on “JT poses a question.” The Hammond Organ Pedals juxtaposed against the bow-legged bass sounds on ‘dark mystery.’ Need something to sound grating? Try the junk banjo of “quick question.” More melancholy is elicited from Mr. Robinson’s woody alto clarinet on “three investigations.” The static sound of an old radio and the eerie sine wave emissions of the Theremin are captured on the aptly titled “un-earthly vision.” The absurdly low walking contrabass sarrusophone counterpointed against Mr. Thayer’s percussion and string bass. The list goes on and on, some of these instruments I confess to having never heard of before, including sounds from Mr. Robison’s arsenal : the Hammond Organ, clarinet, tenor saxophone, bass marimba, clavioline, trautonium, bass flute, echo cornet, slide saxophone, tuned cowbells and Korean gong. I am truly at a loss for words to describe what Mr. Robinson and Mr. Thayer have done here except to liken the album to a soundtrack of a Sci-Fi movie from the fifties and to say it is certainly adventurous. As Scott labels on his album this is a "Certified Space Imagination" product. Hearing the unbridled laughter at the end of track 17 “what in the world,” one can only assume these gentlemen had a lot of fun making this album. Labels: .enigmatic music, Julian Thayer, multi instrumnentalist, music cd review, SCi_FI music, science fiction music, Scott Robinson, Scott Robinson's "?" 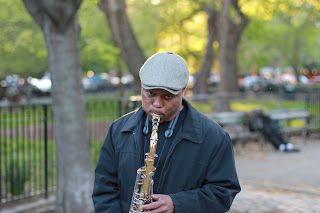 Forty-three year old tenor saxophonist J.D. Allen is a man on the rise. He was named as Downbeat’s Rising Star in 2011 and has matured nicely in the succeeding four years. Witness his latest creation Graffiti , a tour de force of purpose and inventiveness. With this album Mr. Allen has developed a much clearer vision for himself and his sound. Together with the propulsive drums of Rudy Royston and the rooted bass of Greg August, the music sounds like it harkens back to the past while pointing us forward to the next step in the evolution of the jazz saxophone trio. The album is both a celebration of form and measured free improvisation. From the opening salvo of Royston’s exploding drums to the clarion voice of Mr. Allen’s tenor on “Naked,” Allen does indeed bare his musical soul. His fluent grasp of the language makes for an immediately visceral connection with the listener, a free form cry that one can still relate to by virtue of its recognizable form. “Jawn Henry” is an inspirational tune based on the folktale of John Henry the Steel Driving’ Man. On this song Mr. August’s plucky bass provides a low register respite from the dynamic dueling of Mr. Allen and Mr. Royston. The two seem to be musically bent on recreating the man versus machine theme of the folk tale’s legendary duel of strength and they do so effectively. Allen composed all of the songs on this album and described his intention for each one in the liner notes. On “Third Eye” he writes “The saxophone and bass play rubato while the drums have the option of playing against type.” To this end we find Mr. August establishing the heartbeat of the song . Mr. Royston playing against the tempo, as he so often does, with Mr. Allen left to find his own ground either with the tempo or as a counterpoint to what Mr. Royston is doing. Through it all Mr. Allen returns to a plaintive call that seems to unify the whole for the listener. 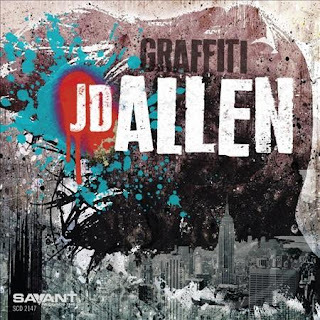 The song “Graffiti,” as the title suggests, is a potpourri of color, rhythm and texture much like the radical, free form of wall art the name implies. With the short repeated line from Allen’s saxophone as the only basis, Royston pulses, bobs and weaves like a fighter in the ring. August reaches for some grounding beat for the group to hold onto and Allen explores the color palette, disciplined but carefree. Allen’s tenor has an implied sense of earnestness that is not something that can be contrived. My favorite piece is the loping “G-dspeed , B, Morris“ perhaps because its melody is memorable and heartfelt. August is particularly effective in anchoring the tune’s march-like cadence as Mr. Allen plays between the bass lines with an easy swagger that is laid back and mellow. 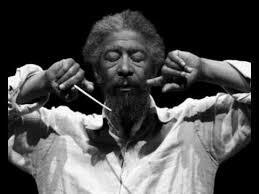 It is a dedication to the late Butch Morris who originated Conduction, a form of structured free form improvisation that allowed the musical conductor to direct an improvising group through the use of his baton and actions. Perhaps this association with Mr. Morris is the guiding light that has allowed Mr. Allen to create this delicate balance between the form and the formless, a balance he navigates so expertly on this album? The economical “Little Mack” is buoyed by the walking bass line of Mr. August who keeps the pace of this blues right where it should be. Mr. Royston lays back on this one, punctuating the air here and there with a rim shot or a splash of his cymbal as Mr. Allen swoons over the melody with succinct clarity. On “Sonny Boy” Mr. August’s bass is again the lead, repeating a motif that allows Mr. Allen to play an ascending and descending line harmonically over the top. “Disambiguation” is another take on the aforementioned “Jawn Henry,” a seemingly endless source of inspiration for Mr. Allen. This time he does so with an openness of form that uses only the barest implication of the original melody to inspire the ensemble improvisation Allen is trying to achieve. Royston and August are free to roam the periphery of the melody finding their own way. This leaves Mr. Allen in the role of foil, responding to the free form dynamic created by his band mates. Clearly there is trust with this triumvirate of musicians, co creators of this ensemble sound. With Graffiti Mr. Allen and company have created a body of music that leaves a lasting impression and hopefully promises more to come. On Friday September 18, 2015 the Stamford Center for the Arts, will launch the first of its new jazz series at its Jazz Alley venue. The Jazz Alley is located on the second floor level of the Palace Theater; an intimate cabaret- setting . She was a principled person who balanced home life with her professional life refusing to tour far from her hometown of Washington, D.C. in favor of raising her daughter Rainy. These choices probably had an effect on her commercial success. But ultimately, Mr. Davis wasn’t the only one to realize Ms. Horn’s talent. Fittingly,. after being nominated nine times for a Grammy Awards, she won the Grammy 1998 for Best Jazz Vocal Performance for her work on I Remember Miles, a tribute to her late friend and mentor. She also received the NEA Jazz Masters Award, the highest honor the United States bestows upon jazz musicians, in 2005. Ms. Horn passed at the age of seventy-one in October of 2005, but her music lives on in recordings and in the spirit she infused into every singer that has been influenced by her penetrating style. Ms. Cole has often patterned some of her vocal stylings after Ms. Horn and so felt it would be fitting to do a show using some of Ms. Horn’s material for this very special tribute. Accompanying Ms. Cole is the virtuoso guitarist Jack Wilkins. In addition to being known as a master technician with blazing speed on the guitar, Mr. Wilkins has a long and storied history playing behind world class jazz vocalists when he was with the great drummer Buddy Rich’s orchestra Mr. Wilkins has played with Sarah Vaughan, Mel Tormḗ, Tony Bennett, Chris Connor and Morgana King to name just a few. Forever an admired contemporary player, Wilkin’s version of Freddie Hubbard’s Classic “Red Clay” from his album “Windows” continues to fascinate modern listeners. The rhythm section is comprised of two accomplished veterans. Bassist Andy McKee likes to say he went to the Elvin Jones School of music having played with John Coltrane’s legendary drummer for several years. Drummer Mike Clark is a man who needs no introduction in the world of jazz and funk. Mr. Clark has played with legends like Chet Baker and Herbie Hancock and is probably one of the most sampled drummers by hip hop artists today. Ms Cole ,Mr. Wilkins and company should make this opening evening at the Jazz Alley a night to remember.